Beauty Muse was a true dream on my wedding day. You made me look like the bride I wanted to be - you worked in such a quiet, professional way and the "finished product" made me gasp. I was sooo happy! A huge thank you – you made me look and feel like a supermodel. - Leah R.
I just wanted to thank you and your fabulous team for making my big day truly special a few weeks ago. Everyone was so professional, caring and totally amazing! You made my already beautiful bridesmaids look truly phenomenal, as well as my mom and mother-in-law. There was such a big group of us, but you totally controlled the flow of the day, and everyone had such a good time getting ready! I can't say enough about my own results- I really felt like (and looked like) a princess on my wedding day thanks to you! My makeup was flawless and lasted all night, but never felt heavy or caked on. I have honestly never felt more beautiful. I can't wait to come into the spa so you can teach me how to re-create that look every day! I will recommend you to all the brides I meet! Thanks again for everything! - Katy P.
Katie was so fantastic - not only her incredible work, but professional, warm and easy going attitude. I am so impressed with the clear talent you have collected in your staff! Thank you for everything!! I could not have been happier! - Amy W.
Samantha was amazing, everyone loved their makeup so much. We all felt like supermodels. Flawless job. She's very talented! - Irene T.
I wanted to drop you a note to let you know what a pleasure it was to work with Melissa at my wedding. She was a true professional and so easy to get along with. I didn't feel pressured and I felt comfortable telling her if I liked the look or wanted something changed. Everyone looked beautiful and unique. Both mothers looked about 10 years younger and I have never seen my sister look so beautiful. She really does have a special talent -- all you noticed was how good people looked instead of noticing how much makeup they were wearing. - Tricia W.
Dana, I want to thank you so much for everything...for helping me learn how to care for my complexion and for all your loving listening, humor, great advice, and wise counsel on all things wedding and beyond. You did an amazing job on my makeup - I felt so beautiful and everyone thought I looked radiant. It was my only real wish for the day - that I get to be a beautiful, relaxed bride and you made it happen. Thank you so much from the bottom of my heart. - Kate P.
Thank you for everything! Katie was so fabulous! She is so talented and was such good, calming energy to have around us that day. - Jill K.
Dana is an incredible person and make-up artist. I was absolutely blown away by her ability to make me look natural and spectacular at the same time. I am also a person who wears little to no make-up - mascara and maybe some lip gloss. Dana not only did a fantastic job making me look beautiful but she also was able to make me feel comfortable in my make-up. She was so great that my sister is now using her for her upcoming wedding! - Jamie C.
Melissa did an outstanding job; everyone was thrilled with their makeup! - Olivia S.
Dana, Thank you so much for all your time and effort working with me to coordinate my makeup for my wedding day. Katie is just unbelievable and everyone's makeup, including mine was just flawless. We all got so many compliments on our makeup and how good we look and we owe it all to Katie. I have been in a lot of weddings and had my makeup done many times and I have never been as happy as I was yesterday. Katie is really truly such an amazing artist and was so great to work with. Thank you for all your help making my wedding day so special and making me feel beautiful. I can't wait to tell everyone I know how great you guys are! 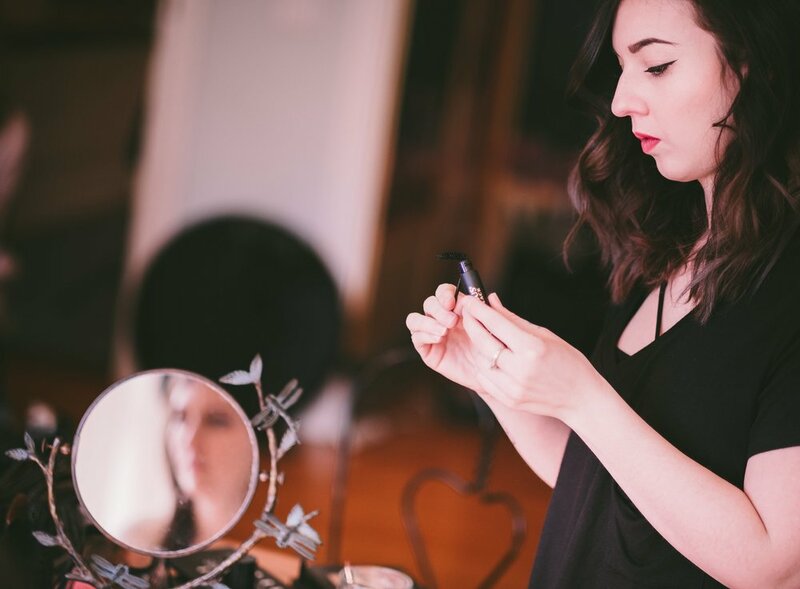 - Jordana M.
I wanted to let you know that I am so thankful for your help not only with doing beautiful make-up for me and my bridesmaids, but also your calm composure and fun personality. I could not have picked a better person to be a part of my special day. I have given your name to many of my friends that recently got engaged and let them know how great you were in so many ways. I have not heard enough positive things about you from everyone that was included in my wedding party. Again, thank you very very very much for being a part of my wedding. - Sara A.
Katie did an absolutely beautiful job with my makeup. I couldn't have been happier! - Marci E.
I just wanted to thank you for everything the day of the wedding. It was all AMAZING! My Mother and I both got tons of compliments on how beautiful we looked. The make up was perfect! - Jaime S.
Thank you so much for making me feel so beautiful. Every girl should be so lucky to have Beauty Muse by their side on their special day. My friends and family also loved you to pieces and had a blast hanging out with your team! - Hillary B.
I just wanted to thank you for the absolutely amazing job you did not only on my makeup, but on everyones! You truly captured exactly how I wanted to look on my wedding day and I’m beyond thankful. - Jessica T.
They did an awesome job!! I loved my makeup!!!!!! It was absolutely perfect and just what I wanted! - Jaclyn S.
Just wanted you to thank you again and let know how much we loved having you do our make-up for the wedding. You're incredibly talented and so wonderful to work with -- we were thrilled you could spend the afternoon with us! All our friends & family been commenting on how great our make-up looked...I couldn't agree more. - Lindsay H.